REMEMBER: We not only give Airbrush Classes, but we also specialize in doing custom airbrushing and custom paint jobs on Harley Davidson and other motorcycles, vehicles, trucks, enclosed trailers and more. We do hood murals, tailgate murals, real fire, marbleizing, and the list goes on and on. 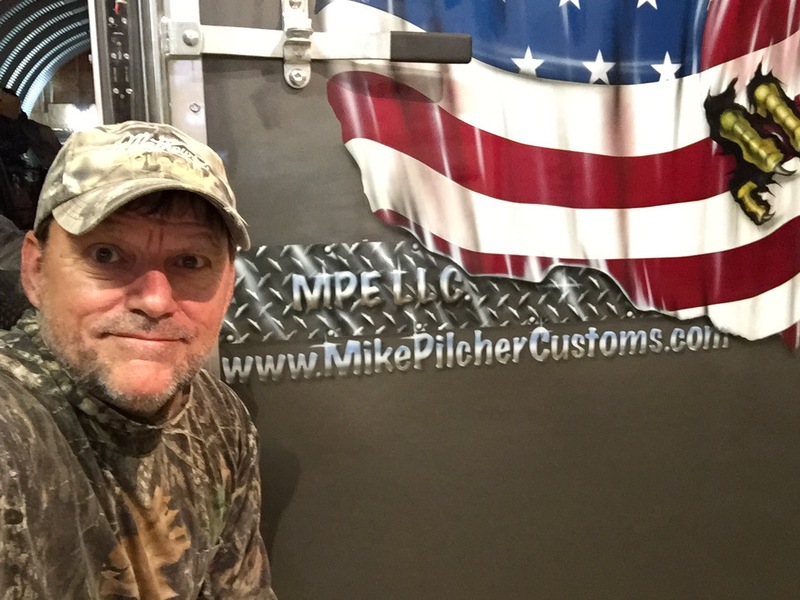 If you are wanting to get Custom painting, and or Airbrushing done, then contact Mike right away. You can use the comment section below, email, phone or text. We also have a “Contact Us” <<~~page on this website. IMPORTANT: Those that are on my mailing list (my subscribers) are first to pick of these dates. If you are not on my list of subscribers, then do so now by going to the right side ~~>> of this page and near the top right under our picture and fill out the form with your best email address. Make sure it is a good email and one that you check daily. This will allow you to get updates, etc before the general public does. It is very hard to keep up with all of those wanting to attend our Airbrush Classes, so make sure when you book your class, you follow through with it. 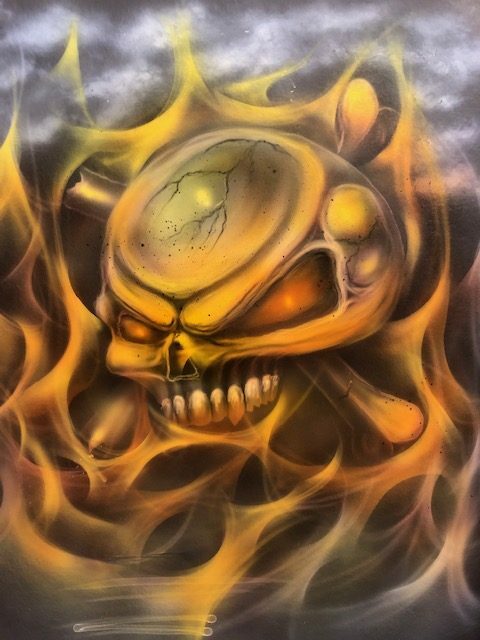 **Anyone that attends these Advanced Airbrush Classes will receive a free Lifetime pass to my Airbrush training membership website << where I continue to post new videos of projects that I do. These projects are video taped with step by step “how to” do what it is that I am doing in each project. Others have to pay for this and students will receive this for absolutely no charge starting in 2018. As of right now there are no other classes scheduled due to my very busy work schedule. Get on my newsletter list by opting into the form on top right hand side of this page. By doing this, I will keep you informed of classes and other events I may do later this year. These panels that each student does will be his or hers to take home and keep once done. 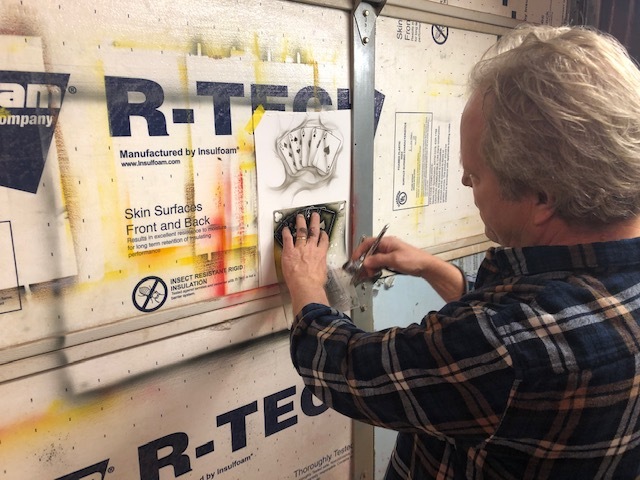 When these Airbrush Classes are finished most all of our students are able to go out and recover their investment by simply doing a few small jobs for their friends and maybe family members. Students will also learn how to market themselves by using websites and blogs, and how to advertise effectively. We all also give our secret formula for the “Realistic Fire” as far as colors, paint numbers, paint brands, our suppliers, our free services used for building websites etc. Call now to schedule your Airbrushing Classes, or go below for more info and get on our very busy schedule while you can. We welcome referrals. Refer others and you could get your Airbrush Class for free. Call or email me to see how! 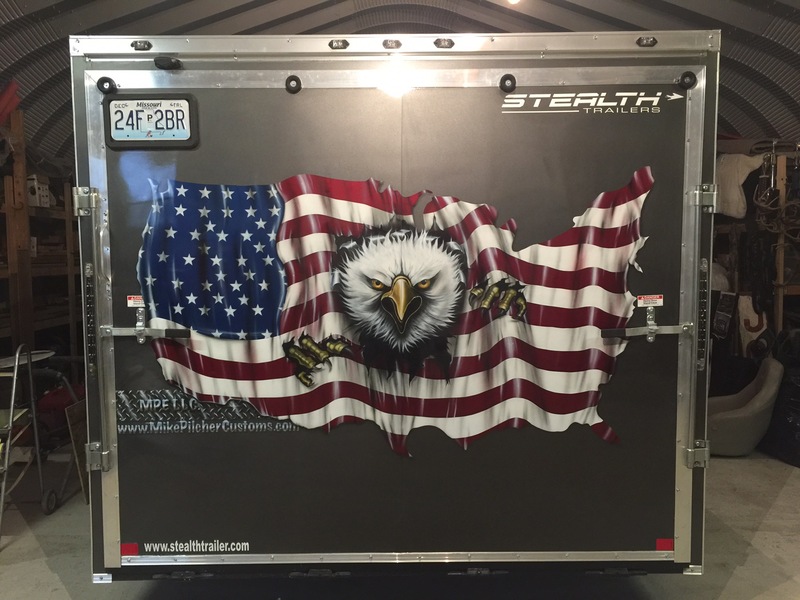 **Don’t forget, we also do Custom Paint Jobs on vehicles, enclosed trailers, and Motorcycles. We specialize in high end and show quality Custom Airbrushing and paint jobs. Get on our newsletter list by using the form below here, or on the top right of this page under our picture. MAKE SURE you use a good email address (one that you check often)…preferably gmail. 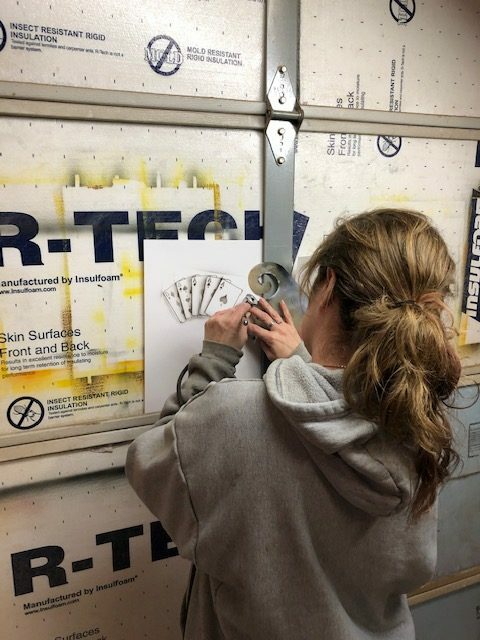 Once you fill out the form to get on our email list, then wait for the first email from us, then hit the “reply” of that email newsletter and tell us that you want on our Airbrush Class List and what 2 days of (Monday thru Thursday) would work best for you. White-list us (add us to your contacts list) when you get our emails so they will always come to your inbox and not your spam or junk box. Following the simple instruction above will help you get accepted to our hard to get into and Limited Airbrush Classes. I want to do small projects like ceramics, t-shirts etc. would your beginners class teach this.? Mike’s classes are fun and informative! I had a great time and highly recomend attending. Mike; I’m in Ontario, Canada & have been airbrushing for a little over a year now. I’m looking for someone who can help me to get to the next level, I’ve kind of hit a plateau for the moment & am looking for some guidance. 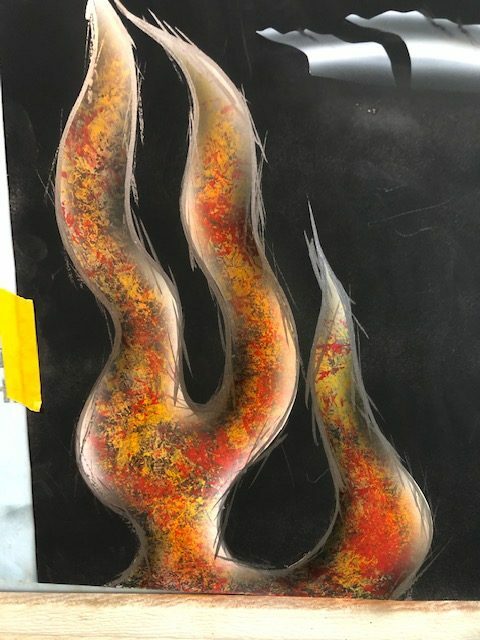 I’m especially anxious to get into the real fire airbrushing & have been practicing with Auto Air/ Createx because it’s cheap & allows me to work in the house in my home office. I’d like send you a couple of pics with some of the panels I’ve done this past winter. I’m hoping it’ll give you an idea of where I’m at & you maybe able to tell where I’m getting hung up right off the hop. videos of me showing how to do fire, and so much more…in detail. be giving some online classes very soon with those that are on my website form list. Thanks for the message, and I look forward to helping you reach your goals this year. 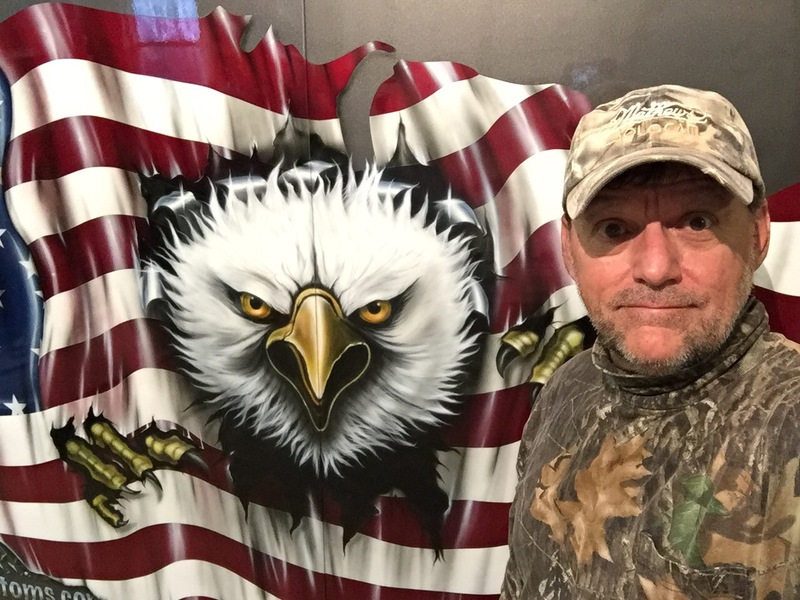 I just began airbrushing and have been looking for classes or workshops in Kansas. When exactly do your classes begin, or do you have them weekly? If so, how far in advance do you need to sign up? Thank you for contacting me about the Airbrush Classes. and also have scheduled classes for next week that are full right now. Hope these dates will work for you? I am interested in classes I live in Edwardsville Ks. so I am close. Please let me no when dates are available. or 2pm to 4pm Monday thru Thursday. Looking forward to ur news letter plus tips & tricks abt airbrushing ,i am also a biginer here …. but right now my schedule just won’t allow it. Thanks for the message and interest in my online and in person classes. have full lifetime access to my online training system. P.S. Yes, I will do some one on one classes this summer sometime. Do you have fall classes for 2015? If so how long is the beginner class and when? Thank you for contacting me. Here is what you need to do next. 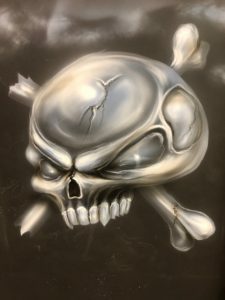 Go to my airbrush training website where you can get all of the training you desire in great detail, and step by step. You can set up a free account at this membership site http://www.AirbrushingVideos.com and get basic beginner videos. You can also upgrade to a ONE TIME low fee and gain LIFETIME access. This one time fee is going up after the first of the year. I have this fee way to low for all of the work and time I put into this “lean how to airbrush” website, so I will be raising this price very soon. Carrie – It’s a mock up phoosthop file I created awhile back and then I just paste the photo from my phone on top. Makes it really easy to post a blog straight from my phone then too! Love the WordPress app ;)Thanks for reading! I am starting Airbrush Classes next week. The days available right now are: Nov 20th, 21st, and 22nd. The following week I have the 27th, 28th, 29th and the 30th available as of right now. Let me know as soon as possible due the fact these dates will fill up fast. Mike, I have a 10 year old grandson in Olathe and he is interested in learning more about air brushing. What would you recommend for this age to get started? He is in school during the day and off for the upcoming Winter Break. Appreciate any advise. I appreciate the message about your grandson and his interest in Airbrushing. My oldest granddaughter has lots of interest as well, so a few years ago I started working with her and the airbrush, and now she does very well with it and really likes it. She was also 10 years old when I started her. I think 10 is a good age to start learning. 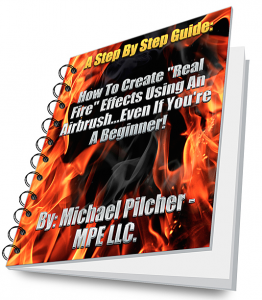 I would recommend getting Airbrush Magazine and let him start reading and learning some of the basics, and see if he keeps that same interest over the next 6 months to a year, and if so, then we can start giving him airbrush classes. Hi Mike, do you still have openings in your beginner’s class? I only have one spot available for the beginners airbrush classes that start this coming Thursday Jan 18th 2018. P.S. I believe I am close enough to drive down oin any given notice. I have a schedule that goes out this morning at 8:00am CST, and I am also updating it to this website front page right now.